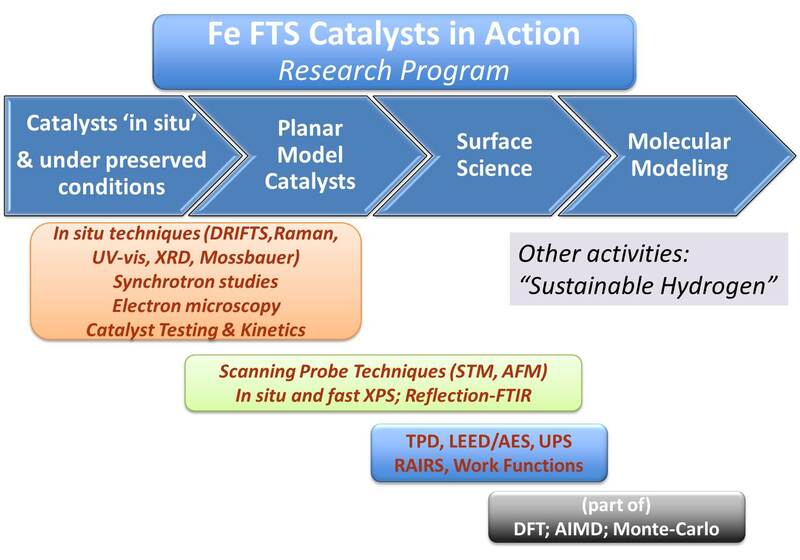 This first major research program at SynCat@Beijing is aimed at the surface chemistry of Fe Fischer-Tropsch catalysts in their working - carbidic - state. It ranges from catalyst preparation, formulation, characterization and testing as it is commonly done in a professional industrial laboratory, via surface science of nano-particles and single-crystals to molecular modeling by computational methods. (b) studies of the surface chemistry of iron and carbidic iron, which serve to validate the results of DFT studies and offer a better basis for understanding reaction mechanisms.